Whether you are planning to have an intimate wedding or an exorbitant one, Trident - BKC will surely match your unique choice, budget, and requirements. 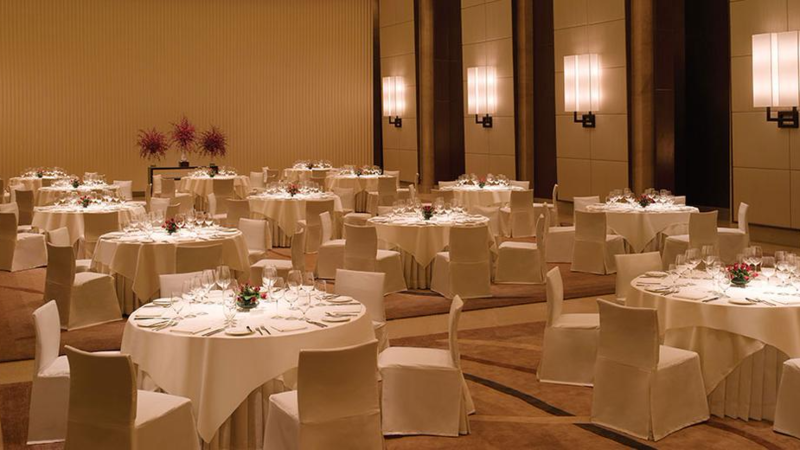 With a capacity of accommodating up to 130 in seating and 550 in floating, the venue has a cosy and comfortable interior for the guests. It also offers an in-house team of caterers that puts all the efforts to delight the guests with mouth watering multi-cuisine dishes. When you plan your special day at Trident, BKC, Mumbai, you're assured excellent food, personalized services and attention to detail. The opulent Golconda Ballroom is a great fit for private events. The high ceilings and elegant neutral decor adapts to weddings. You can get a DJ from outside and ensure that everyone has an amazing sangeet party. The Trident allows you to get a decor team of your own to ensure that the stage looks fantastic on your special day.